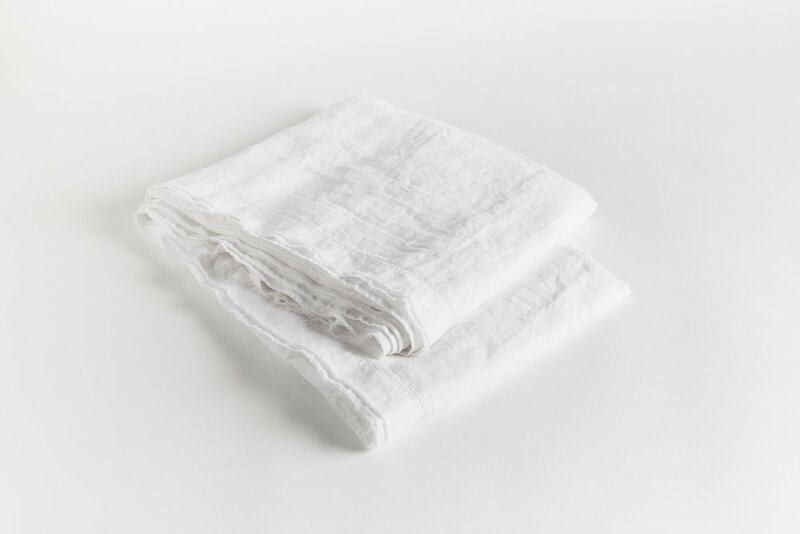 Two Left - Saphyr Pure Linen — Two Left Co.
A local startup, Saphyr Pure Linen bedding is created from the finest French flax fibers. It’s been proven that there’s a direct correlation between a well-designed product and brand loyalty. Customers that have a positive experience tend to spend more, more often and share the experience with friends. This is especially important to the startup business whose product is high-cost, low-demand, or hides in a niche market. Saphyr Pure Linen managed to nail all three. These linens needed a brand that reflected their heritage and photography that rivaled the most premium competitors. Above all, Saphyr Pure Linen takes the humble flax flower to heart, so that's where this brand begins. Staged and shot in Stone Harbor, NJ. Art direction, lighting, and photography.